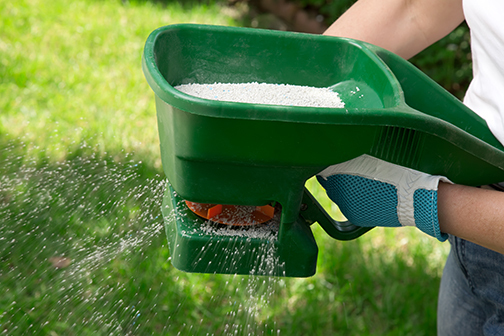 The Maryland Department of Agriculture announced that new regulations regarding the use of fertilizer products will take effect Monday, Oct. 1, as a result of changes made to Maryland’s Lawn Fertilizer Law during the 2018 legislative session. The changes make regulations for organic fertilizer products consistent with those for synthetic products. Additionally, they give professional fertilizer applicators more choices in the products they can use. • Allows lawn-care professionals to apply up to a half-pound of soluble or insoluble nitrogen per 1,000 square feet from Nov. 15 to Dec. 1. Currently, only soluble nitrogen is allowed. • Removes the requirement that organic fertilizer products be “low phosphate.” The change allows the products to be applied according to the University of Maryland’s recommendations and soil-test results. The Fertilizer Use Act of 2011 — also known as Maryland’s Lawn Fertilizer Law —authorizes the Maryland Department of Agriculture’s Nutrient Management Program to regulate the use of fertilizer on turf not used for agricultural purposes. It requires homeowners and lawn-care professionals to follow the University of Maryland’s fertilizer recommendations and use best management practices when fertilizing lawns.